This updated guide provides a roadmap for participant-based survey sampling for Feed the Future annual monitoring indicators across different types of interventions: agriculture; maternal and child health and nutrition; and water, sanitation, and hygiene. FANTA focuses on improving nutrition workforce, costing, governance, information systems, supply chains, and scale-up of quality services to strengthen health systems. 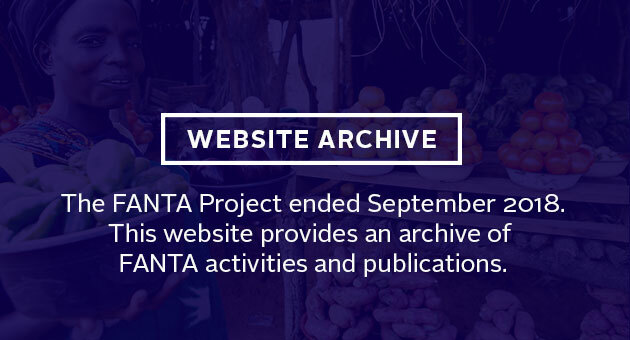 FANTA-developed planning and costing tool helps policy makers and implementers plan for the design, financing, and management of nutrition assessment, counseling, and support. This training guide, revised in 2018, is designed for health care managers and health care providers who manage, supervise, and implement CMAM. FANTA’s tailored technical assistance, collaborative approach, and hands-on support leave a legacy of improved nutrition services in Mozambique.